The rise in plant-based diets and veganism is extending its reach to fashion in a big way. There have never been more choices in vegan and ethically made clothing and apparel. Just a decade ago it was a challenge to find companies that had vegan shoes, purses or clothing period, let alone any that felt stylish. Faux leather often looked very cheap, wore out fast, and cost far too much for the poor construction. Fast forward a decade and ethical fashion is booming. An internet search for vegan fashion immediately showcases multiple fashion forward cruelty-free brands. With the boom in vegan apparel, vegan leather alternatives are becoming accessible to everyone, from lower cost options like Blowfish Shoes to higher end high fashion options like Stella McCartney. The rise in vegan design has overlapped the more recent market for sustainable clothing and created a huge selection of ethical, environmentally friendly options. When seeking out vegan apparel, the questions to ask are what materials are available and which are the best choices when purchasing vegan shoes, bags, clothing and accessories? With the number of vegan apparel companies now available, what are the premier cruelty-free companies for the fashion forward individual? The most obvious factor that influences whether apparel is vegan is what material it is constructed from. Leather and suede are arguably the most used materials in the fashion world that make it hard for a vegan to purchase items that they feel good about wearing. Some argue, however, that leather is simply using up otherwise wasted material, is more environmentally friendly because it is from a natural source as opposed to synthetic and is a more durable option. The question then becomes, is leather an okay choice for the conscious consumer? Leather and suede are both lucrative commodities from animals, mostly from those that are victims of the meat industry. As it is well known, factory farming and animal agriculture are cruel practices to the animals whose lives they claim and carry a massively negative impact on the environment. Leather is also environmentally unfriendly due to some of the tanning solutions and dyes, which have known pollutants and carcinogens that end up back in the ground, in the water and on our skin. Upon this deeper investigation, leather may come out as a durable option but is certainly not more environmentally friendly nor compassionate. The alternatives to leather and suede are eco-friendly options like organic cotton, bamboo, and hemp to name a few, as well as man-made materials. Sustainable materials like organic cotton, bamboo, and recycled plastic are making a mark in the fashion world. These options are far better for the Earth and our own health, although they typically come with a higher price tag than their conventional counterparts. Environmentally friendly alternatives to leather have an exciting future, as a leather alternative from mushrooms has recently been created with a look that is so similar to leather it’s shocking. Pinatex is another alternative to leather made from pineapples, which has recently been used to create shoes by Hugo Boss. While the man-made materials are not created from the suffering and death of sentient beings, they are also not often eco-friendly. Many man-made materials are petroleum based, have plastic in them and a variety of other toxic byproducts. These shoes are a good option to simply avoid causing animal suffering, but are not great options for durability, longevity or simply wanting to contribute to a greener future. As with all choices, it’s important to evaluate what’s important to you when buying apparel and use your heart and mind to make informed purchases. Often shoes are the first hurdle to overcome when seeking out cruelty-free options. The most popular vegan materials to seek out are man-made materials, canvas, organic cotton, or hemp. Vegan shoes are available for every style and budget, available at retailers like Payless and Target to higher end, sustainability-focused companies like Susi and Veerah. If sustainability is at the top of your wishlist, Beyond Skin is a vegan company who seeks out using more environmentally friendly materials while also utilizing a high percentage of recycled materials in their shoes such as recycled plastic for their faux suede options. Pozu is a company that sources renewable materials free of toxic dyes and pesticides and has a beautiful vegan line that is constructed with materials like coconut husk, organic cotton and recycled rubber. If you’re unsure where to begin your search and would like to compare styles from a selection of vegan brands, a noteworthy vegan shoe website, MooShoes, offers a variety of styles for both men and women from multiple popular vegan and non-vegan companies. If you’re seeking out additional vegan companies or companies that make only non-leather shoes, Novacas, Olsen Haus, Blowfish, Matt and Nat, Brave Gentlemen, and Native Shoes all have excellent options for every style. In the same vein as purchasing vegan shoes, vegan bags were once a challenge to find. Many off brand companies do offer vegan bags, often made from purely man-made materials but require searching through the bag section in department stores or googling man-made bags online to find. If vegan bags with a high-end feel are what you’re searching for, companies such as Jeane & Jax, and Angela Roi have beautiful collections with simple yet sophisticated bags for everyone. If you want to take your search a step further, sustainable vegan bag companies are bursting onto the scene, focusing on recycled and sustainable materials. One company with a huge fanbase is Matt and Nat. Matt and Nat offers a variety of clean, modern bags for both men and women in a wide range of styles and all their linings are made from recycled plastic bottles. Eve Cork is a vegan company that is sustainably minded using primarily cork as well as organic cotton to create their beautiful bags. Cruelty-free clothing is the easiest item to shop for, as most clothing is made from cotton, polyester, linen, or other synthetic, non-animal based fibers. The textiles to avoid are leather, suede, wool, silk, fur and feathers. While vegan clothing is not hard to find, there are a few important companies to check out when it comes to ethical and sustainable clothing. In the Soulshine is a vegan based company in Australia that promotes an array of plant-based vegan messages on its apparel. 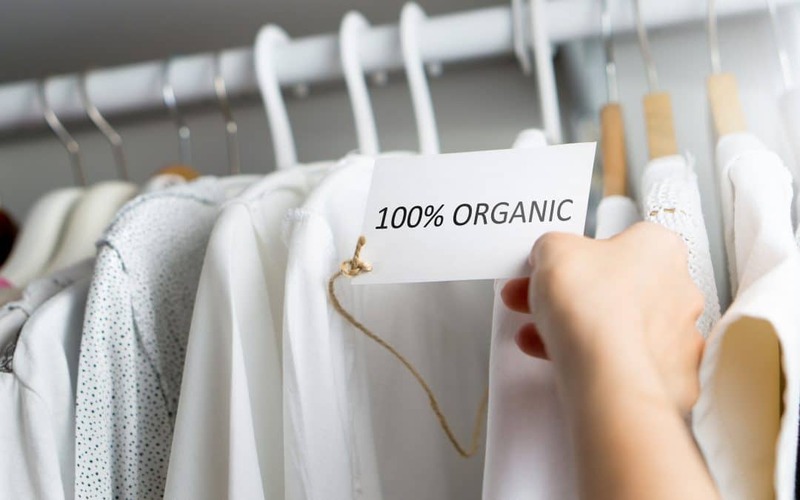 If sustainable and organic clothing is something you desire, Groceries Apparel and Amour Vert have a large selection of vegan items made from fabrics such as eucalyptus, organic cotton and modal from beechwood. The world of fashion is slowly changing to incorporate more cruelty-free and sustainable choices. Two decades ago it would have been hard to imagine the impact veganism has had on fashion, yet the message is clear that the time has come for companies to refine their practices and materials to become more ethical and free of animal products. If we continue to vote with our dollar and let our conscience be our guide, we can influence the trends in clothing and make a permanent change in what is acceptable to use in clothing and apparel, improving the lives of all living beings on the planet in the process.